Originally a pastoral recreational area and reservoir during the 1700s, Collect Pond was a source of spring water for early Dutch residents of downtown Manhattan. Located just north of present-day City Hall Park, its water was famous for its clear, sweet taste. In warm weather, picnickers could be found on its shoreline while ice skaters frolicked on the pond during wintery days. The “tea-water” from a pump at Roosevelt and Chatham Streets provided refreshment and was perfect for brewing exotic “Indian tea”. Up until the late 1700s, the south shore of Collect Pond was the city’s only burial ground for free blacks and African slaves. 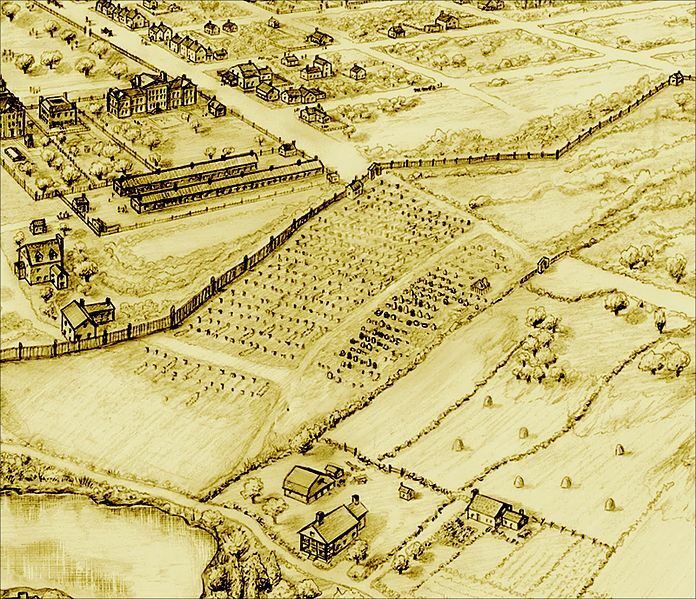 The pond’s 48 acres became a dumping ground for the tanneries and slaughterhouses that occupied the neighborhood during the late 18th century. Local authorities needed to control the smells and filth that were clogging up Collect Pond. 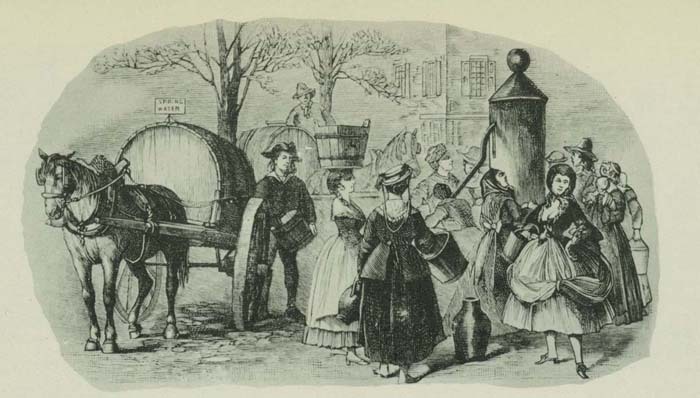 An underground spring which fed the pond was eventually widened into a canal and allowed much of the toxic water from Collect Pond to flow into the Hudson. Trees along both sides of the canal did little to shield residences and businesses from the odorous flow. 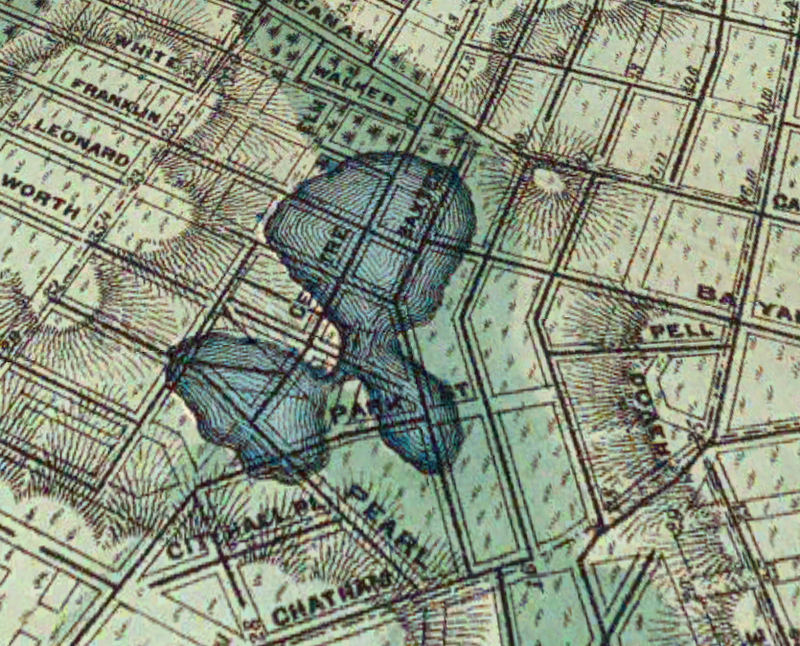 As the downtown population swelled and the pollution got worse, plans were made to fill in the pond with dirt from Mount Bayard, the highest point in the downtown area. By 1813, the pond was completely filled in. A neighborhood known as Paradise Square was developed on the pond’s site, attracting affluent buyers. 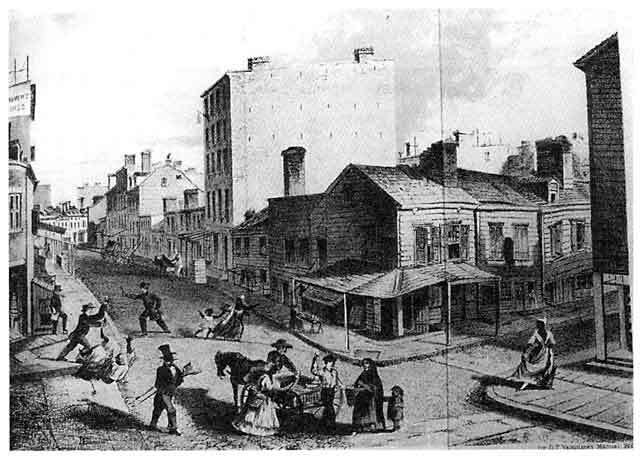 When the canal was paved over in 1821, the name Canal Street stuck because residents continued to complain of the foul smells permeating from the waste water. Its residents began to leave in droves. Multi-level buildings could not be constructed around Canal Street because the land remained marshy and mosquito-infested. Land values were cheap and low-level brick and wooden frame houses were built into what would become the beginnings of the Five Points area, which gained notoriety for being the Western world’s most crowded, disease-ridden slum back in the day. Several buildings were prostitution and crime dens; Five Points’ highest murder rate averaged fifteen a night. 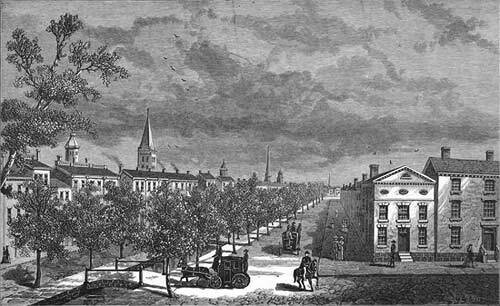 Lithograph of Five Points looking north on Orange Street, which would become today’s Baxter Street. Source: Manual of the Corporation of the City of New York, 1860. 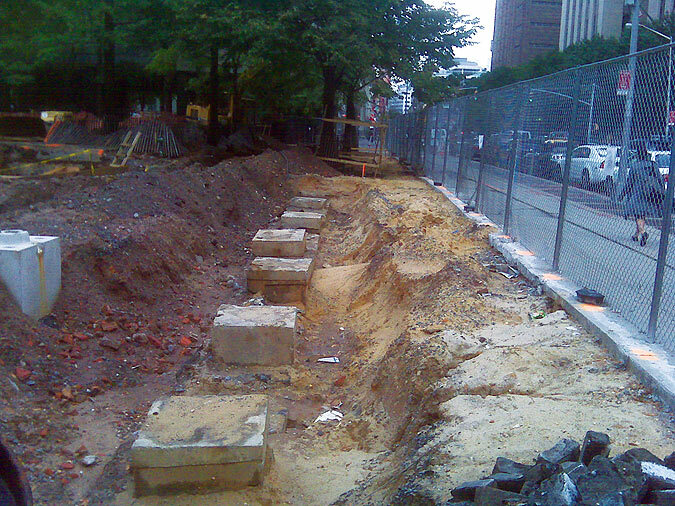 Many tenements were razed to build “the Tombs”, erected on the site of Collect Pond in 1838. The courthouse and jail structures were built on a heavy base of hemlock logs to further anchor the buildings onto the unstable land. Despite such measures, the prison was notorious for leaks and its overall dampness throughout the building. Prison breaks, corruption, and scandals established the Tombs’ ill reputation and people began to call for its destruction. The Tombs began to sink and was condemned by the end of the 19th century. 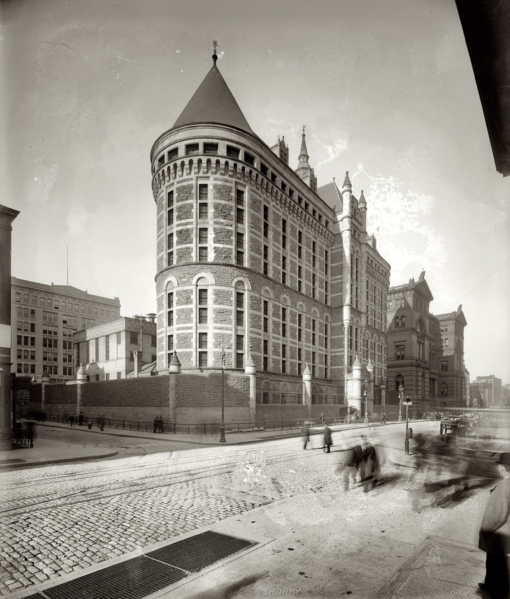 The Tombs’ formal name was “The New York Halls of Justice and House of Detention”. Undated photo from the 1800s. A series of detention buildings occupied the site afterwards, all nicknamed “The Tombs”. 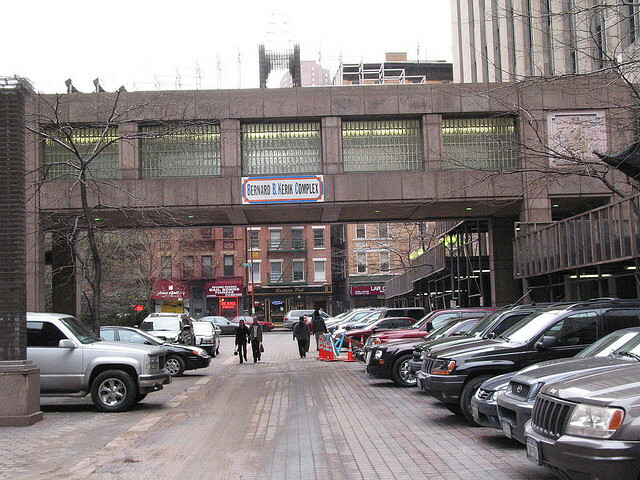 The current complex is made up of two buildings connected by a pedestrian walkway and named after Bernard Kerik, former NYC Police Commissioner under Mayor Rudolph Giuliani. 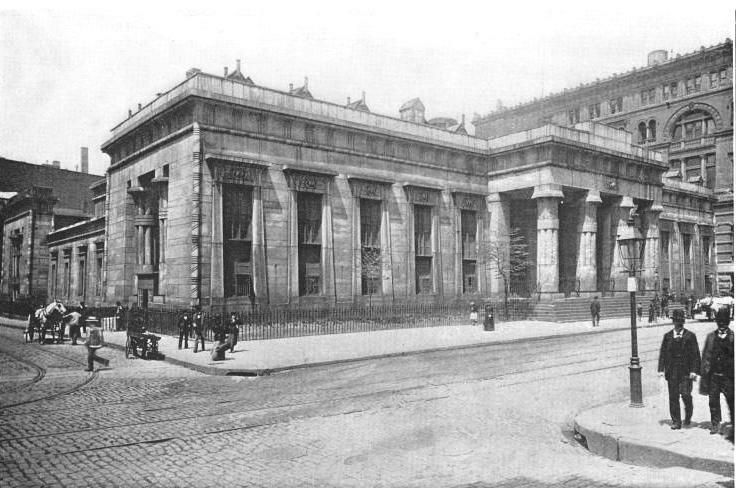 The first Tombs building was demolished and this second structure was built in 1902. In 1960 a portion of the Collect Pond site was designated for park conversion. Currently the park is under re-construction and slated to open sometime later this year. The park has plans for a pond to evoke its historical namesake. City plans for the park include two shallow ponds that will create a beautiful winter landscape during snowfall. Under the Bloomberg administration, more space has been reclaimed and revitalized as green spaces than ever before. As revamped Collect Pond Park nears its completion, strollers passing through this area will be able to envision a time when Lower Manhattan was a peaceful, bucolic area and almost be able to block out the blaring sirens of the police cars nearby.